Looking for an environmentally friendly product? The Westinghouse High Temperature Tankless Water Heater is for you! 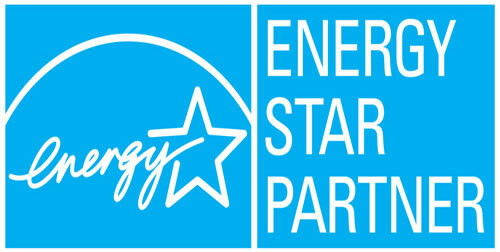 This ENERGY STAR ® certified tankless water heater has an Energy Factor of 0.98. Heating is the largest energy expense in most homes accounting for 35-50% of annual energy bills in colder parts of the world. Tankless units are “on demand” units, and heat water only when you turn on the faucet. By heating water only when you need it, the Westinghouse High Temperature Tankless saves energy and money! Upgrade your existing system today and see how much you can save. 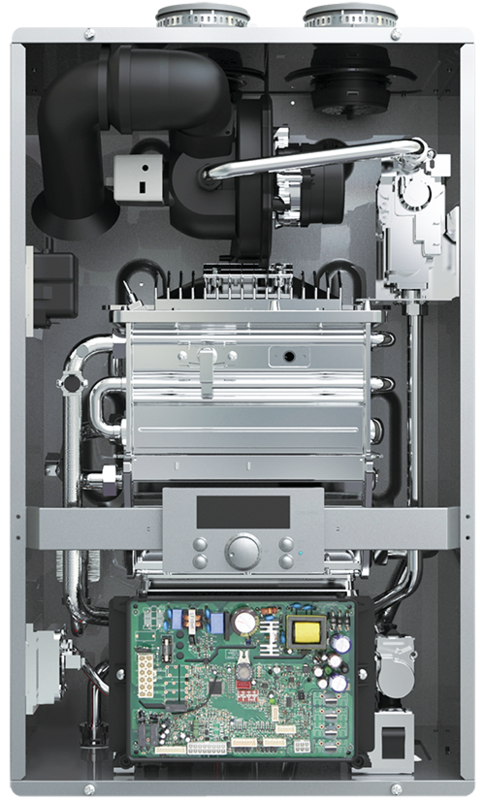 The Westinghouse High Temperature Tankless also has ultra-low NOx emissions providing additional environmental savings due to its combustion control system, which minimizes levels of nitrogen oxide. If NOx levels are not reduced, oxidants can build up in the atmosphere and have harmful effects on human health. The Westinghouse High Temperature Tankless may be eligible for rebates in your area. Not only does the Westinghouse High Temperature Tankless provide adequate water heating for your household, its state of the art gas leak detector protects against hazardous gas emissions. Its high temperature supply allows for sanitation. The unit is also equipped with safety devices such as burner overheat cut off device, water temperature high limit switch, and a freeze protection ceramic heater. The automatically adjusting flow control valve ensures stable water temperature and is made of erosion resistant material. It enables automatic control of water quantity based on user’s customized temperature and offers the best hot water experience! 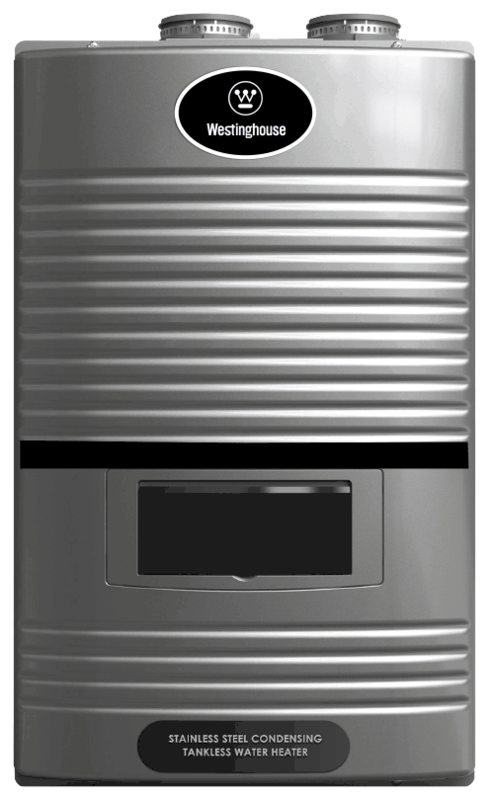 The Westinghouse High Temperature Tankless Water Heater is manufactured with the highest quality materials to provide the most efficient heating experience. Its high grade stainless steel heat exchanger resists corrosion better than the typical copper or aluminum heat exchangers. 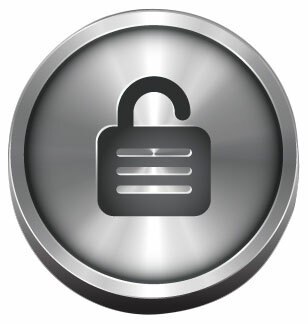 Stainless steel lasts longer, is virtually maintenance free, and facilitates the transfer of heat more efficiently. This wall mounted unit is available in 199,000 BTUs and vents in PVC, CPVC, or polypropylene. It is high altitude compliant, functioning up to 10,000 feet above sea level. Contact a member of the Westinghouse Water Heating team for a FREE consultation! this advanced modulating tankless water heater when compared to traditional heaters. With a 10 to 1 turndown ratio, the modulating technology matches fuel consumption to demand, allowing for instantaneous hot water whenever you need it. Delivering 11 gallons at a 35°F rise and 8.5 gallons at a 45°F rise, this unit provides sufficient amounts of instant hot water, to satisfy your heating needs. high grade stainless steel provides a longer life expectancy while boasting excellent heat transfer properties. Two heat exchangers ensures that your family will never be without hot water. Westinghouse Water Heating prides itself on premium protection for your products! The Westinghouse High Temp Tankless includes a 5 Year Limited Warranty.